Something Very Strange Is Going On In Antarctica - Military.com Reports 'Operation Deep Freeze' Has Been Ongoing For 60 Years! 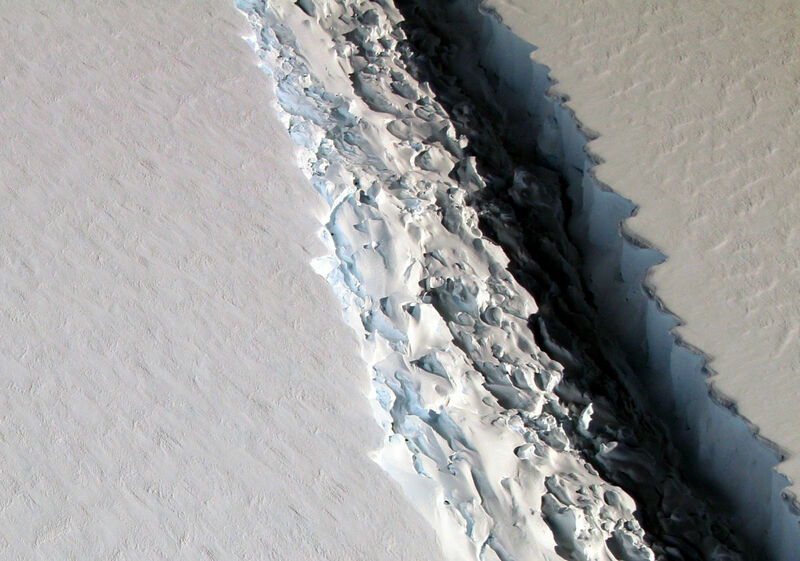 The new story from Life Science reports a gigantic, 70-mile long crevice has recently opened up in the ice in Antarctica. At least as wide as a football field at about 300' and plunging down more than a third of a mile to the ocean below, we're told once the crack spreads across the entire ice shelf, it'll create an iceberg about the size of Delaware at over 2,400 square miles. You can see this crevice in the first photo below and in the first video at the bottom of this story. And while NASA Ice tells us this relatively new rift just showed up on satellite imagery this year, it's clear that something very strange is going on in the Antarctic with globalists such as John Kerry recently visiting the 'bottom of the Earth' at a time when one mysterious event after another has been unfolding down there as outlined in the stories and videos here within. 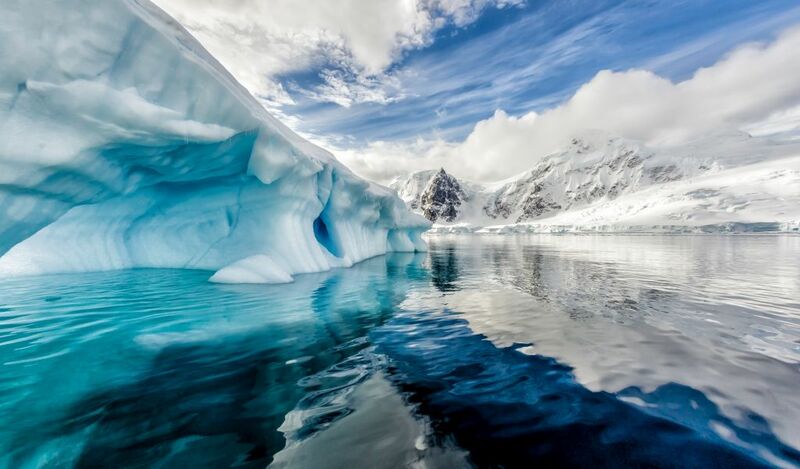 As we read in this recent story from Mysterious Universe, Kerry's visit came soon after Wikileaks released a large set of photographs of Antarctica via leaked emails. "Does this mean that there’s a worldwide cover-up...?" their story asks. You can see the Wikileaks Podesta Antarctica pictures here (hit attachments). And now Military.com has published a new story in which they tell us about "Operation Deep Freeze" and the US Air Force's 'vital mission in Antarctica'. What is really going on down there? We're told in their story this Operation has been going on for 60 years! During the late 1930's, Adolf Hitler's Nazi Germany made at least 3 documented trips to Antarctica. While establishing New Swabia, they made no formal territorial claims to that Antactic land. With Nazi Germany showing a very strong interest in the 'bottom of the world' more than 75 years ago, those trips also have launched great speculation. According to Steve Quayle's book "Empire Beneath The Ice: How The Nazis Won World War II", the truth about history has long been hidden. 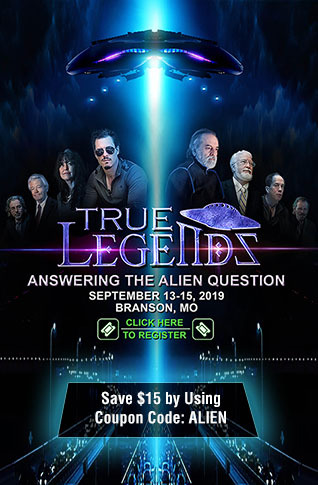 Revealing to us why most of what we have learned about World War II and the defeat of Nazi Germany is wrong, even the Daily Mail recently published a story asking if an 'alien base' is hidden within a pyramid there after a huge, triangular structure was recently spotted on Google Earth. As Quayle told us in an SQnote while linking to that story, SUGGEST YOU ALL ACQUIRE MY BOOK 'EMPIRE BENEATH THE ICE' TO GET A FEEL FOR THE EVENTS SOON TO BE RELEASED FROM THE ANTARCTICA. 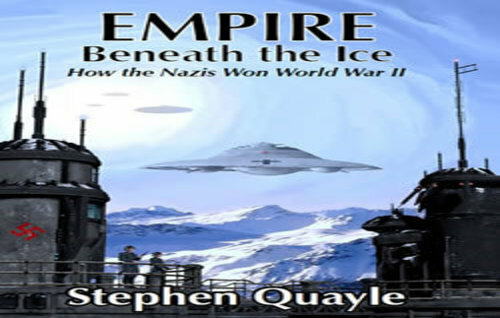 You can hear Quayle along with Derek Gilbert discussing “Empire Beneath the Ice” and the esoteric connection between the Nazis and the occult quest that drove Hitler and German elites to find an underworld location of the gods in the final video below. Famed astronaut Buzz Aldrin also recently visited the South Pole though he had to evacuated due to a medical emergency according to this story from Time. Why is there suddenly so much interest in this world of ice? And might there be evidence of an advanced, ancient civilization at the 'bottom of the world' as argued in this recent story from Ancient Code? The recent story from Tales From Out There that Quayle had linked to on his website called "Strange Goings On In Antarctica - Did They Find Some Sort Of Lost Ancient High Technology Out There?" reported that Lockheed Martin, a key corporate defense contractor and player in the military-industrial complex, also has a contract for 'scientific research' at the Antarctic. We also recently learned via the Daily Mail that mysterious blue clouds have been seen at the earliest date ever in the Antarctic this year as also seen and heard in the 2nd video below. 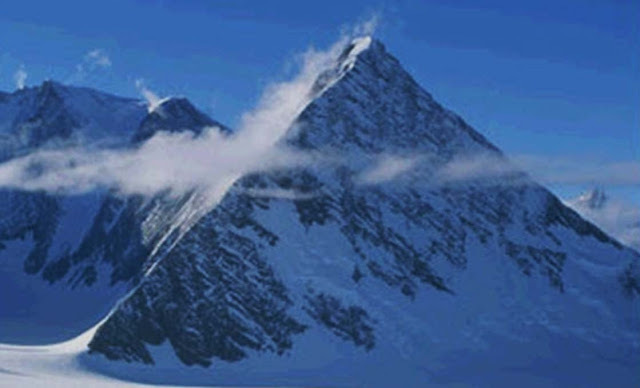 Why has there been so much interest in the Antarctic recently and might we soon learn and do these 'ancient pyramids of Antarctica' hold secrets that are still being hidden from us? In the 3rd video below, our videographer takes a look at the recent trips made to the Antarctic while asking what is being covered up down there while giving us the historical background of Nazi Germany's exploration of the Antarctic and the US response to that via Operation Highjump in 1946/1947.